2012 was the year of hip hop. Or certainly that’s how it seemed to me. I have been thinking about my top tracks of 2012 over the past few days. Look out for a few tasty hip hop numbers to slip in there (I’ll post the list tomorrow). My admiration for the genre has certainly been reignited over the past 12 months after a long spell of disillusionment. As such, it seems appropriate to end my second year of blogging with two titans of the scene. Also, I ended year one with Otis and there is a nice symmetry to ending year two with him also. The track is filled with clever rhymes, it’s like Jay-Z and Kanye are trying to get one over on each other with each passing verse. An added bonus is a cameo in the video of Aziz Ansari (AKA the hillatious Tom Haverford from Parks and Recreation). I don’t know about these ladies – look how hard they’re trying. They’re 3 sisters from California and the band name is their surname. I’m switching off already. They’re booked to support Florence on her tour next year and have played with Mumford and Sons and Edward Sharpe and the Magnetic Zeros. I’ve pretty much walked away by now. But then, this song. Oh man, this song is just right up my street. The melody is pure ’90s pop presented in beautiful wrapping paper that you don’t want to tear. Most likely, what you’ll find inside is that the song borrows too much to be very original and the lyrics are a bit weak. I’m ignoring all that though and singing along, at the top of my voice. This is going on all of my morning playlists for the foreseeable future – it makes me feel bouncy. I rarely feel bouncy. Sad news about Fontella Bass passing away this week at age 72. Another Soul great gone, there have been too many this year. She was born in St.Louis in 1940 and came to prominence with her biggest hit, the spectacular Rescue Me which was released on Chess Records in 1965. I’m still thinking about my top 30 of 2013, will put them in a playlist once I have decided what should be in there! Barcelona DJ John Talabot isn’t someone I know a lot about but I have noted that he has been getting a lot of love in Best of 2012 lists that I have been reading in the past month or so. This prompted me to check out some of his stuff, particularly his album fIN from which this track is taken. Pretty enjoyable stuff. This mellow number has been helping me with my turkey-induced post Christmas stupour. It’s from North Carolina’s Kooley High, who I have been really enjoying recently. It’s taken from the Album of the same name which was released about a year ago and was named afer David “Skywalker” Thompson and not my buddy, neighbour and sometimes blog contibutor of the same name! If it has to be a Christmas song (and at this time of year unfortunately they seem to be unavoidable) it might as well be The Ronettes, Phil Spector and The Wall of Sound (or perhaps Wham!). Music doesn’t get much better than that magical combination. This is taken from the 1963 album A Christmas Gift for You from Phil Spector. Setting aside the Christmas motif it is actually a pretty spectacular record. I have to give it up to the S//S//N blog for introducing me to LA band FIDLAR. The youthful vigour here is really refreshing, it’s been stuck in my head for the past few days (helpfully drowning out all the Christmas tunes that seem to be inescapable). 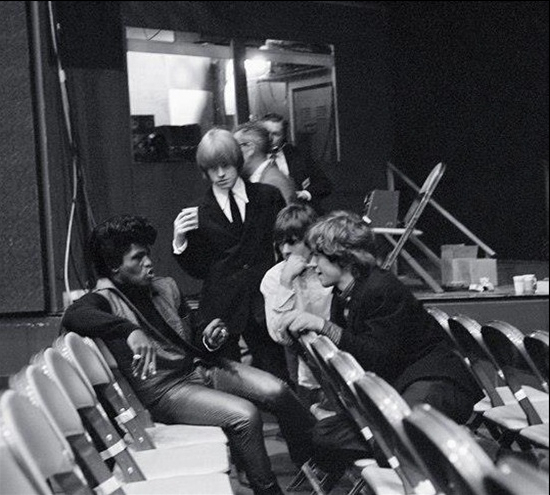 I came across an amazing photo of James Brown with The Rolling Stones on the ever enjoyable Awesome people hanging out together Tumblr recently (see pic below). It made realise (shamefully) that I hadn’t posted the legendary JB yet, nearly two years into my blogging odyssey. So it’s about time I righted this wrong. 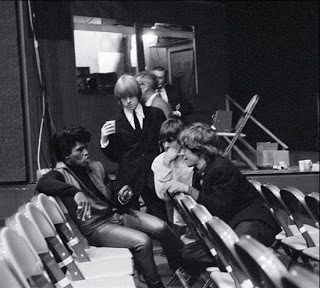 James Brown has one of the most arresting voices I have ever heard and the opening 30 seconds of this track still make the hairs on the back of my neck stand on end every time I hear it.